Purchase your tickets or sponsorships today! (check back often as new items are frequently added). 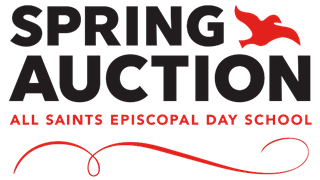 Each spring, All Saint Episcopal Day School hosts an auction that has become one of the most anticipated events of the season. Family and friends gather to celebrate our success and enjoy an evening of bidding on silent and live auction items. The funds raised at the Spring Auction supports a new initiative at the school. There are several ways to support the Spring Auction – through sponsorships, ticket purchases, bidding on auction items, and making tax-deductible monetary donations.